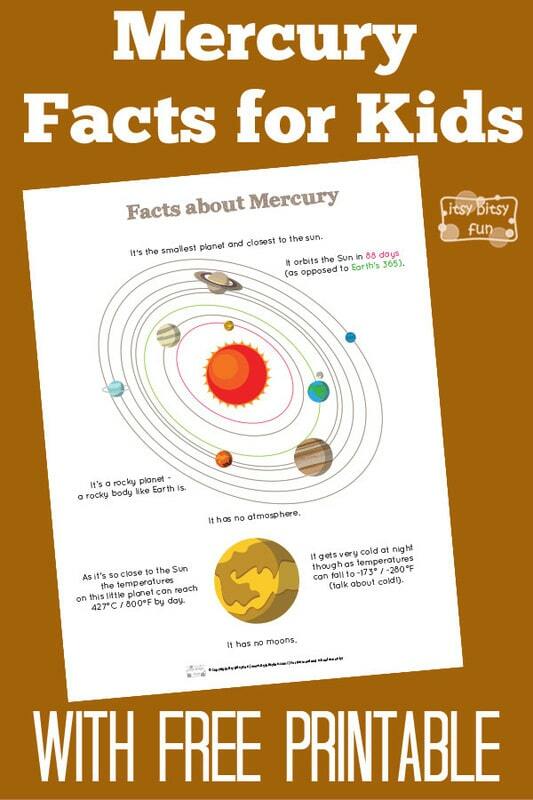 There are so many interesting facts about the first planet in our solar system! 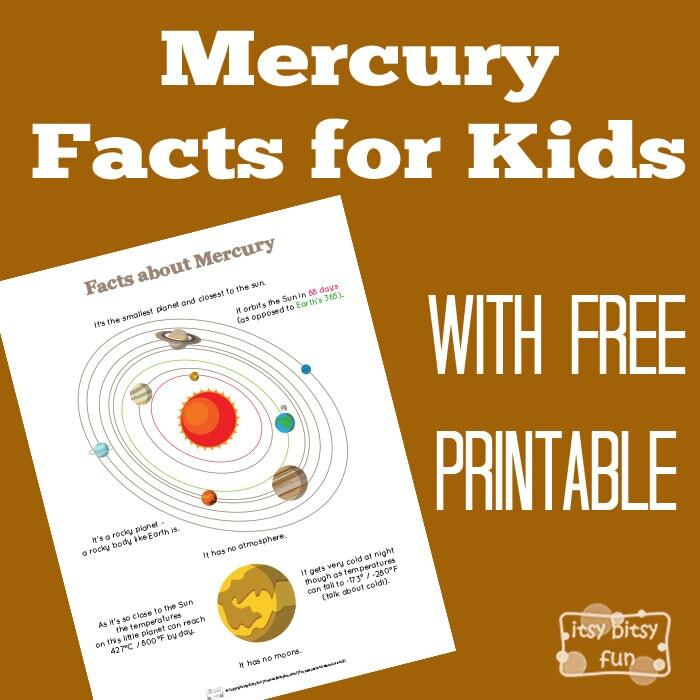 Let’s learn with facts about Mercury for kids! As a kid I admired this planet as it is so small and so close to the sun – who knows, maybe because I was a small and tiny kid I somehow could relate haha. Let’s learn something about this small planet, shall we? It’s the smallest planet and closest to the sun. As it’s so close to the Sun the temperatures on this little planet can reach 427°C / 800°F by day. It gets very cold at night though as temperatures can fall to -173° / -280°F (talk about cold!). It orbits the Sun in 88 days (as opposed to Earth’s 365). Literature: “common knowledge” and Wikipedia.